weight loss dietary supplements - ESI S.p.A. When weight gain is related to the excessive absorption of carbohydrates and fats, Kalory Emergency can help when associated with a low-calorie diet and adequate physical activity. The Kalory Emergency product line takes full advantage of Nopal and other plant properties in order to reduce the feeling of hunger, limit the absorption of fats and carbohydrates and to decrease caloric intake. 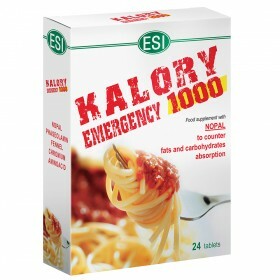 Kalory Emergency is a great ally to any low-calorie weight loss program. 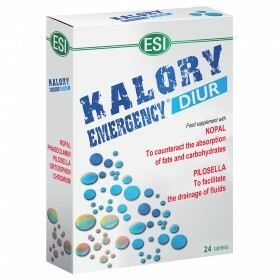 Kalory Emergency is also available in the diuretic (Diur) version for those who want to get rid of excess water weight.